Beyond what the world's interpretation of what Cuba has been lies a country that is full of life. 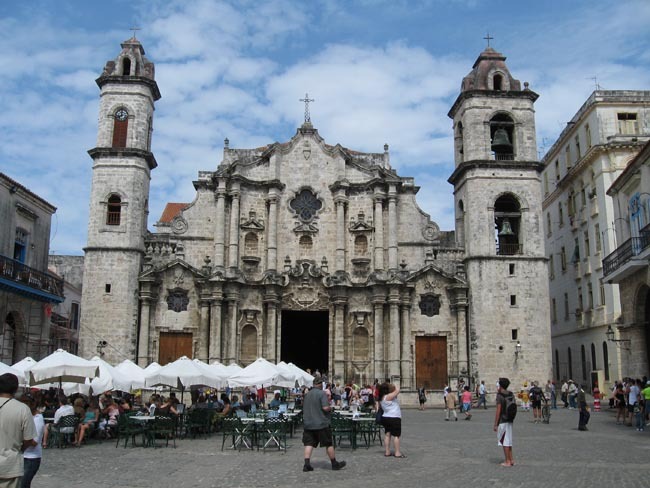 Our Cuba group tours introduce you to a life that has a way of making you tap your toes to the soft rhythm of the salsa beat echoing down alleyways of colonial buildings whose walls are slowly chipping away with the weathering of time. A life that welcomes visitors with a broad smile even as locals fiercely play dominoes outside their houses; where the wafting smell of cigars mix in with the sweet smell of fresh fruit; where the turquoise coloured ocean laps at soft white sand and the sound of laughter is never far away. 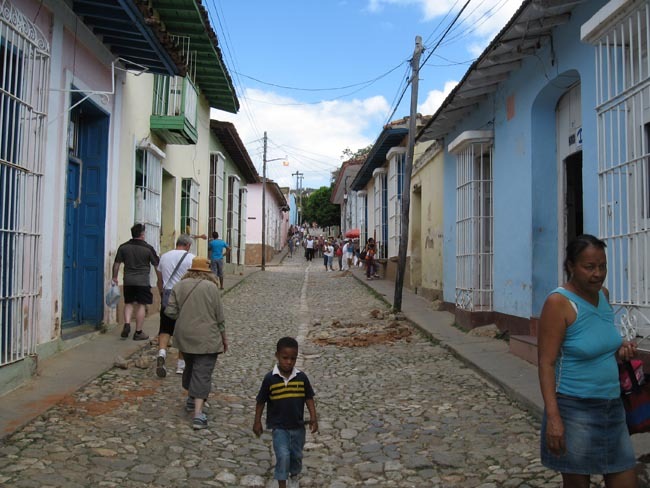 It is true the Cuba we have read about is a far cry from this complex Caribbean island, and is continually evolving. Our guided tours to Cuba offer the chance to learn about the people, the history, and the culture, in an intimate way that will allow even the most intrepid traveller to experience something new. Beginning and ending in Havana, once known to the Spanish as the key to the new world (La llave del Mundo), the moment you arrive in Cuba it is hard to not recognize both its colonial importance and revolutionary past. With opulent buildings such as grand theatres on elegant boulevards to the ornate plazas found in the old city, Havana gleams with an old world charm that has not been spoiled by skyscrapers and new developments. The white, red and blue flag of Cuba is found around every corner and the pride of this country very noticeable. Away from the downtown core are massive, blocky Soviet-style buildings, reminding visitors of a communist government with offices decorated with the faces of Camilo Cienfuegos and Che Guevara, two revolutionaries whose legendary status are hard to escape. Even further away from the classic cars of the 1950s and the hustle of Havana, is where Cuba group tours shine. 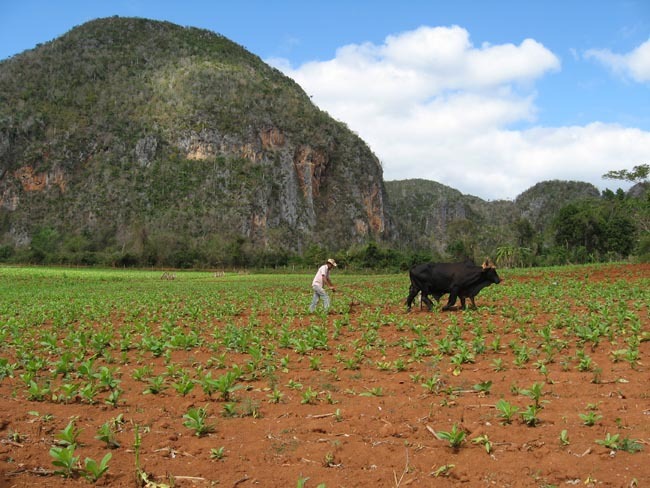 From the tobacco fields of Vinales where karst mountains rise and fall between plantations, to the musical soul of Trinidad, a preserved colonial town still standing amongst once the gleaming sugar capital of the country, guided tours to Cuba show a different side than just the revolution. It shows a country that has survived despite all the odds against them. It also shows the diversity of a country that came together in times of need, from French migrants who arrived in Cienfuegos, to African slaves in the Valle de los Ingenios, to the Spanish who filled the big cities such as Santiago or Santa Clara. 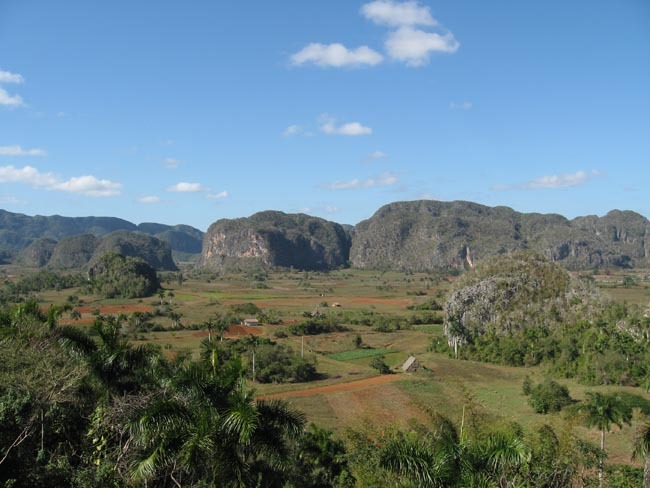 Cuba group tours also take in the non-political side of the country, venturing into the mountains of the Escambray to discover the herbal medicines used historically by Cubans and the biodiversity found in this Caribbean paradise. 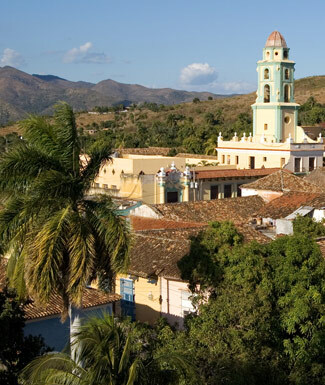 One step into our guided tours to Cuba shows the traveller that this is a place like no other. 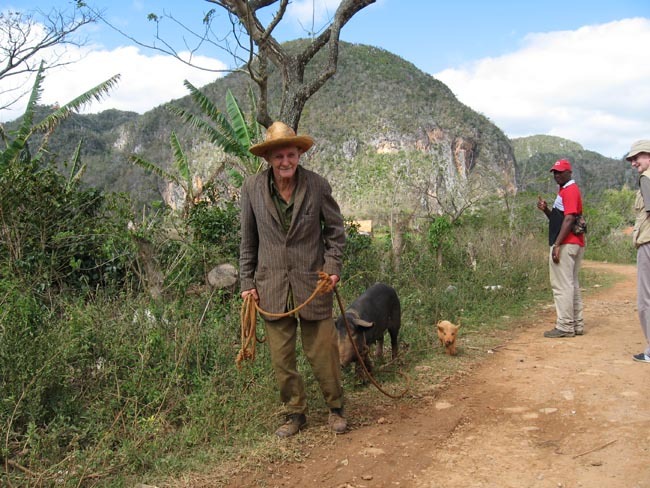 As a company that has been leading Cuba group tours for decades, trust in our expert leaders and quality guides to help you understand the complexities of this island and allow you to enjoy in the richness of its culture. I enjoyed every single thing that I got to see and do. I fell in love with Cuba from the second I landed. An amazing and wonderful experience, the local people, the sites, the complicated history, the food. People I know who've been to Cuba, everyone of them told me the food was terrible. Well.....they certainly didn't eat where we did or have the Tour Leader that we had as their guide!! The Hemmingway House was my favourite. I enjoyed all the elements, as they gave me insight to the country. I left Cuba with a positive view of the country and it's people. The evening meal plan exceeded my expectations. Our tour leader and local guide did a great job to ensure we experienced great food, many times at local family operated restaurants. I had heard the food in Cuba was not great, but after this trip, I think the food is terrific! As usual, most of the hotel choices put us into a position to experience the people and culture. This is a trait about AA that we love, and keep us coming back. Cuba was an interesting country. I enjoyed the friendliness of the people. Their multicultural blend makes them unique. Their smiles and laughter are infectious. The food on this trip was awesome. Plenty of choices each day. We enjoyed real Cuban food! You can sense the country is changing and that tourists are leaking away from the resorts to experience the culture and history of the towns and cities. We were able to experience it before the change becomes dramatic. Well done Adventures Abroad. All the excursions were thoroughly enjoyed. I don't think AA need to change anything. The local guides were fantastic. The transportation was excellent. Meals were over the top and we enjoyed each and every one. This is the second time we have travelled with Serra, our tour leader, and with her light personality, her extensive travel knowledge and fantastic people skills she is an absolute treasure to travel with. Serra is always very well organized and everything ran like clockwork. Serra is an excellent speaker and was always very well informed. She had the right amount of depth to all the information passed on to us. We only use Adventures Abroad for our cultural tours, and have taken two of our daughters and their husbands on two of the tours as well. We have never had a tour that we have not enjoyed. Our Cuban tour guide cannot be topped!!! I don't have enough complimentary words to express how he "made" the trip for us. He is personable, knowledgeable, helpful, open-minded, and never failed to be performing his job of teaching us about his country. We really were lucky to have him as our Cuban tour guide. I particularly enjoyed the visit to Hemmingway's house, to the orchid garden, to the tobacco farm in the Vinales Valley and to the farm after our boat trip on the Toa River. The local guide who accompanied us throughout the trip was excellent. I liked the videos he showed us on the bus. The guide at the Hemmingway house was particularly engaging and informative. The food met and exceeded my expectations. The small local/family-run restaurants were excellent. Although the food was not particularly varied, but there was a lot of it. Usually, beef, pork, chicken and lamb were on offer. The fish was especially good and we had lobster and shrimp several times. Sometimes other sea food was an option. (I had octopus one night.) It was good to have realistic expectations about Cuban cuisine. I was impressed by my first AA experience. I feel that I got to see the real Cuba. Diego is a fantastic guide and gave everyone a wonderful experience. The best guide I have ever had! Bus drivers were absolutely amazing and evening meals were very good - fun to get to know the group. Loved the Hemmingway, Buena Vista Social Club and the Baseball game!!!!! Osvaldo was an excellent national guide and knowledgeable about his country. He had a great spirit. Serra did a good job, she could laugh readily, gave good country information and was an excellent representative for Adventures Abroad.Pleasant, courteous, patient, and friendly would be adjectives to describe Serra's attitude. She was very well informed. It was fun, informational, and the pace of each day was planned and carried out. It was fascinating to get a glimpse into the lives of people that was balanced, objective, and fair. Vinales Valley and the walkabout there were one of the highlights, as was the visit to Baracoa and the bus ride through the mountains. [Tour Leader Erin] went to extra effots to arrange meals in local establishments, organize evening excursions to muciscal venues, find money exchange places, and organize the ordering of meals. Great trip, would highly recommend Cuban trip to everyone. Of course, what made the trip extra special were our amazing guides. All excursions were very good. We saw all the highlights of each place we visited. I really enjoyed Trinidad and Baracoa. We had one local guide - Osvaldo - who traveled with us the entire time. He was the best local guide I have had on any trip that I have taken. He worked 18 hours a day to make sure we all had a great experience in his country. He was friendly and helpful, and provided loads of information abount the culture, history and economic condition of Cuba. We had a very comfortable mini-bus (ours was virtually brand new) and and excellent driver. The evening meals were all very good. There were always lots of choices. It was nice to try out the private restaurants, which were mostly where we ate. Chis is an absolute people person. It is obvious that he enjoys his work. Chris went out of his way to answer everyone s questions and requests. He made sure everything ran smoothly and comfortably for everyone. Chris keeps lists and sets reminders - I can t think of anything that was not reasonably explained nor any questions, requests or observations that were forgotten. I really enjoyed this trip to Cuba. It is a pity that the vast majority of people that travel here do not get to see the country in the depth that we did. This trip was eye-opening and filled with a variety of excursions. All of it was well-planned and thought out. I liked the bodega visit and seeing the ration books. I felt I got a real look at daily life. Another favorite was the Velasques house in Santiago. The walking tour of Havana was eye-opening. I enjoyed all the included excursions on this tour. Highlights would be Hemmingway Finca, Museo Romantico in Trinidad, Cave and boat trip in Vinales and the Truck ride into the Sierra de Escambray. Transportation was excellent in every way. AA is fortunate to have the calibre of Chris, our tour leader, working for the company. He was enthusiastic, never tired or too busy for questions. Always appears calm and relaxed. He is the best!! The local guide was outstanding; he was honest, well-spoken, informative, and fun. Working relationship between him and the Adv. Abroad guide was excellent. The excursions blended well with free time, were adventurous and worthwhile. Great trip! I am glad that I went and the experience was excellent!Diego was outgoing and had a wonderful personality. Diego was extremely informative and knowledgeable. He made himself available to everyone on the tour. I have been on numerous trips and he has been the best guide I have ever had in my travels! Great trip, all excursions were very enjoyable and local guides were excellent. Laura made us all feel very comfortable and was always able to answer our questions. She seemed to have as much fun as we did, great tour leader. Over the next two weeks, we will be immersing ourselves in all aspects of modern Cuban life, through connections with the Cuban people and places as we explore with a full-time leader and the invaluable assistance and insight as provided by a local Cuban guide. Our purpose on this special journey is educational and inspirational; we are confident that you will come away with a much better understanding of this country's unique cultural, artistic, political, natural and historical attributes, as well as its unique challenges going forward as a proudly- independent 21st Century nation state. 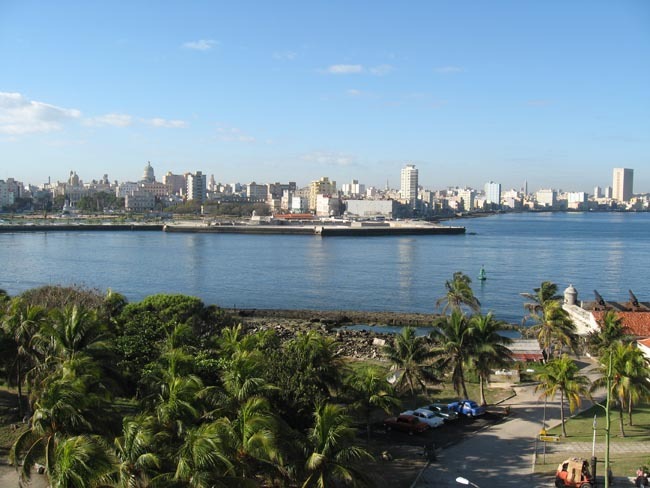 Cuba's cosmopolitan capital was once one of the world's most prosperous ports and the third most populous city in the Americas. As La llave del Mundo (Key of the World), it saw riches from Mexico, Peru, and Manila pass through her sheltered harbour to Spain. Havana shows evidence of neglect but her beauty shines through an amalgam of Spanish, African, colonial, communist, and capitalist influences. This morning we take a leisurely walk through the countryside passing by crops of tobacco, yucca and corn before joining up with our vehicle again. We may be able to visit a tobacco farmer's house; the inhabitants of the valley will readily invite visitors in for a visit. We then go around the corner to the State-run rationing store where our guide will explain to us what the state supplies, how much, and how the system works. Figueredo. Women from Bayamo are said to be the prettiest in Cuba, inspiring La Bayamesa, Cuba's favourite love song. Today we have a long drive towards Trinidad, a UNESCO World Heritage Site since 1988 and perhaps the best-	preserved colonial town on the island. decline in the second half of the 19th century. Day Summary: This is a relatively easy-going day, with sightseeing town-based and concentrating on matters colonial. We also have opportunities to learn more about Afro-Cuban culture and traditions, including Santeria. Originally used pejoratively by the Spanish to describe the religious/superstitious beliefs which gave more attention to the Catholic saints often in preference to Jesus Christ, Santeria now applies to the most popular Afro-	Cuban religion. You will have some free time to visit some worthwhile sites not covered by our sightseeing program. Near the Parque Central are the Capitolio and the Gran theatre (currently under renovation), Museo Nacional de Bellas Artes (Museum of Fine Arts) and the Music Museum. 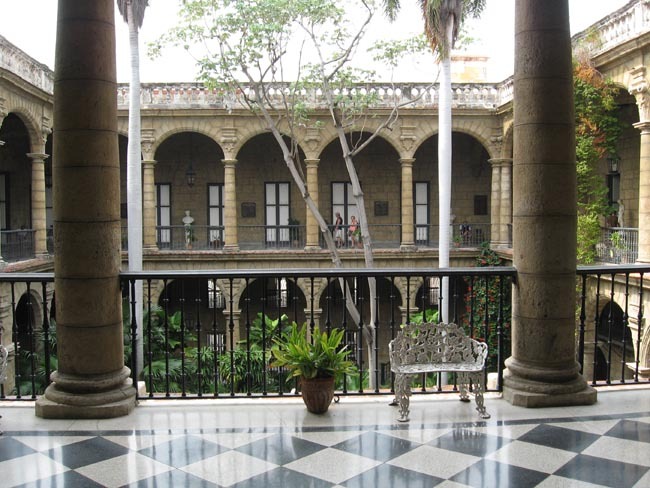 Near the Plaza de Armas: Castillo de la Real Fuerza (housing a small but good naval museum), Casa de Africa; Vintage Car Museum; City Museum, Corona cigar factory and cathedral. There is often a flea market around the corner from the Tejadillo, behind the cathedral, close to the water. 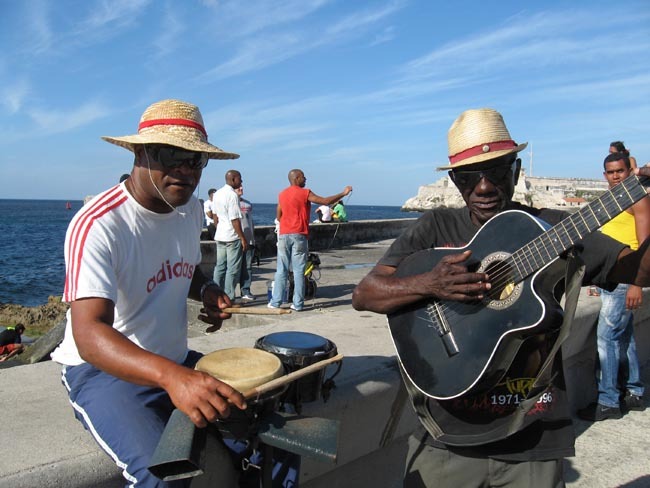 And this may be the	evening to sample one of Havana's famous music venues or take a stroll down the Malecon (waterfront promenade),	which really comes to life in the evenings. 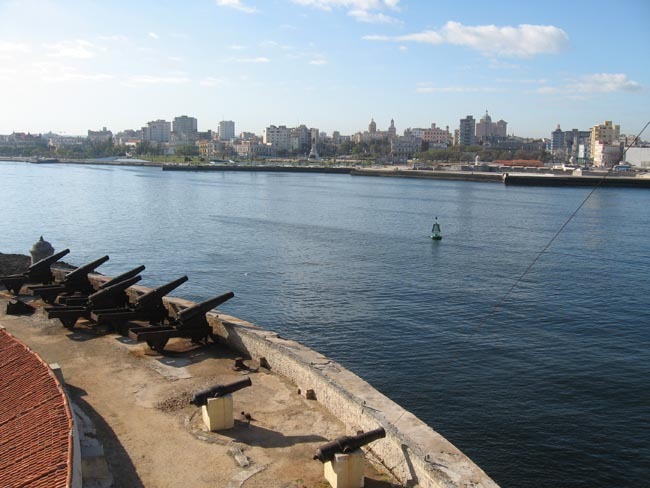 The Hotel Armadores de Santander (which means ‘Shipowners of Santander’) overlooks the port of Havana. 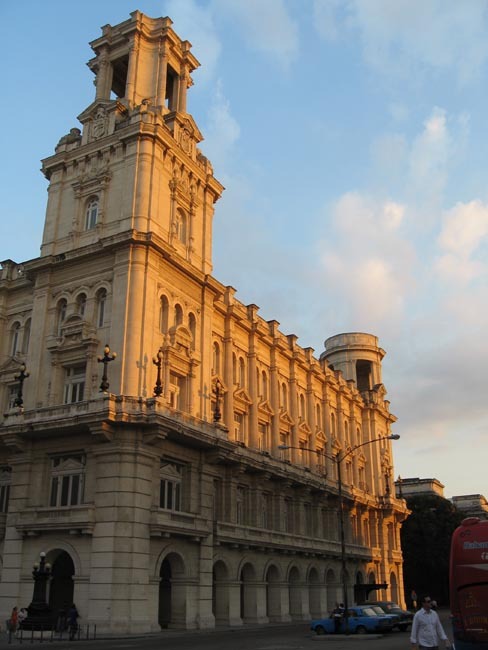 The building’s façade, with its ...	reliefs of the coat of arms of Santander surrounded by maritime motifs, is wonderfully evocative of the city’s seagoing past. 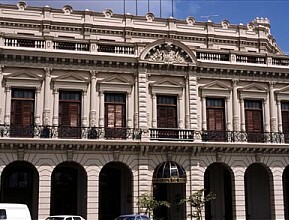 The Hotel Armadores de Santander was restored and is run by the Office of the City Historian of Havana, so all its profits are reinvested in the restoration of the city’s historical centre. 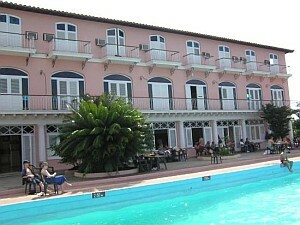 Most of the rooms are housed in two three-story buildings set on a hillside overlooking the Viñales Valley. All are ...	clean and comfortable, and feature French doors opening on to a little balcony from where you can soak in the sights. Touches of gingerbread wrought-iron work and stained glass give the place a sense of elegance. Facilities: 2 restaurants, 2 bars, outdoor pool, laundry service. Breakfast and dinner daily (hotels and local restaurants). All transport, sightseeing and entrance fees for sites noted as 'visited' in the detailed itinerary. Gratuities for local guides, drivers, restaurant staff, porters. Airport transfers for land & air customers and for early arriving/late departing land & air customers who book their extra hotel nights through us. International airfare to/from the tour. Tour Leader gratuity, lunches, drinks, personal items (phone, laundry, etc), departure taxes, domestic and international air taxes (if applicable), "tourist card" fee ($15). Airport transfers for Land Only customers. Optional trip cancellation insurance. Our post-reservation trip notes offer further guidance on optional meal costs, shopping, and locally paid departure taxes. 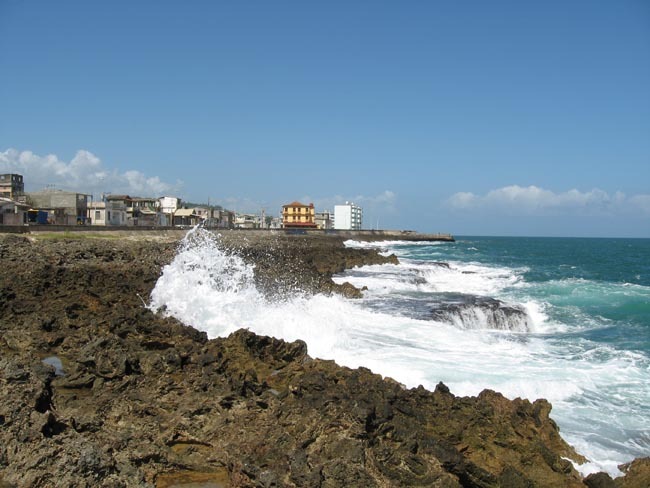 Cuba is a warm and tropical place most times, and one should be prepared for heat. That said, we will notice a cooling effect when up in the mountains or near the sea. The northern side of the island also tends to be cooler than the Caribbean side. A light rain shell is recommended for all times. The cooler and most comfortable time of year in Cuba is November-March. This is "high season," and we recommend early booking to ensure space at preferred accommodation and flights at a reasonable cost. May and October are considered "shoulder" season; these months can be hot but still a pleasant time to visit. We avoid the very hot summer months (Jun-Sept). Road transport by private air-conditioned motor coach, 24-36 seats depending on ultimate group size (see 'group size'). Though this is not a strenuous tour per se, we do have numerous walking tours of towns/cities on uneven surfaces. One must be prepared to be on one's feet, walking at a leisurely pace for up to 3 hours at a time, and to walk short distances (ie from the hotel to dinner). We'll also experience some sticky heat throughout. Traffic and road conditions may make some journeys seem longer than they should be. We have, in the past, tried flying within Cuba to reduce some distances, but this presented challenges with respect to the (un)reliability of these flights. You must be prepared for some full days of travel and plenty of bus time. Our trip rating level "2" reflects the ambitious nature of our program, some full travel days, heat, the lack of unreliability of creature comforts in some locations (hot water, air-conditioning etc that may fail), and limitations for those requiring/insisting upon very specific dietary requirements. 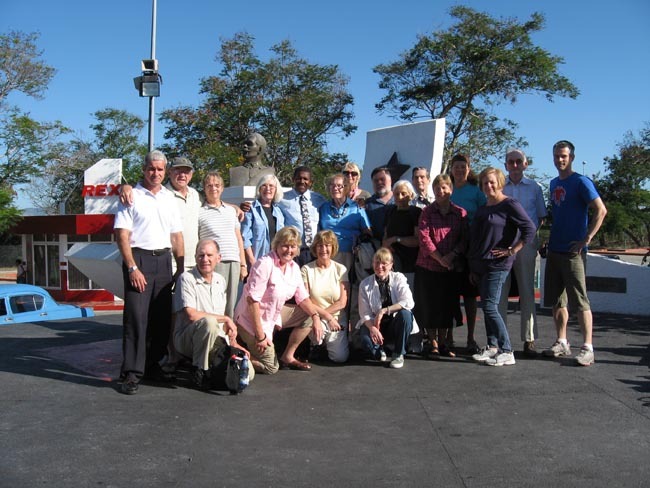 USA Travellers: As per US State Department requirements pertaining to US citizens' ability to legally visit Cuba, our tour, which falls into one of 12 categories of authorized travel, qualifies you for a "general group license" under statute 31 C.F.R. 515.560. 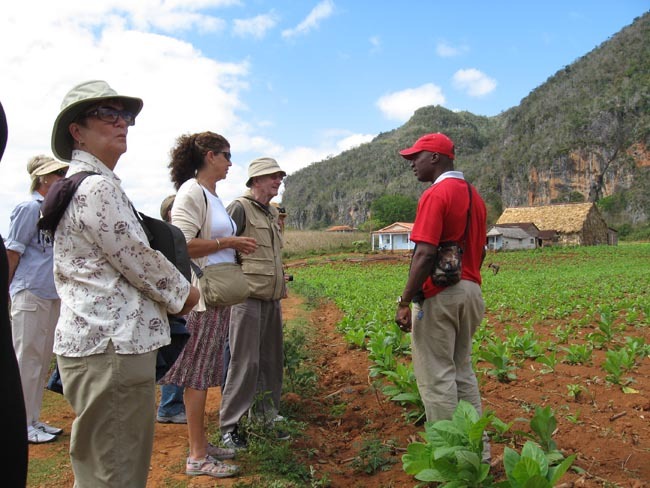 Our tour promotes independent activity intended to strengthen civil society in Cuba, where each day is packed with a full schedule of supporting, learning, and engaging with the Cuban people. Our pre-departure notes provide further details on how to ensure that you are able to prove that you are visiting Cuba legally. Well-located, heated/air-conditioned, mid-range (3-star) hotels with en suite toilet and bath throughout (probably shower only). Single rooms are limited and likely smaller than doubles. Porter service is sometimes available though you should be independent with your luggage, especially at airports. Because this tour ventures well beyond the built-up coastal tourist areas, one can expect the locally-owned, managed, and operated hotels and inns to be somewhat less "slick" that the larger, foreign-owned and managed resort-style properties. Hotels are carefully selected in terms of their ability to offer a safe and clean environment; that said, there may be some rough edges here and there and service that is not at the same level of efficiency which we expect elsewhere in the West. That said, the big highlight of this trip is to get off the trodden tourist path and immerse ourselves in the real Cuba. Our accommodation choices conform to the US Treasury Dept's rules pertaining to hotel accommodation in Cuba. Tour Leader, driver/s, and local guide.